Josh pulled the old woman’s hands off his shoulders. Her skin felt like wet tissue paper. She froze, staring over Josh’s shoulder. Josh looked, but saw nothing other than the trees swaying in the breeze. Strange things are always happening in Axe Falls, but when Josh and his family move into an old, run-down house, they get really creepy. Josh is sure something terrible has happened in the house, and the old lady from next door keeps telling him he must leave, but his family don’t seem to be worried. At school, his best friend’s science experiment comes to life, and Josh starts to wonder if the two things are connected – and whether he will live long enough to find out. 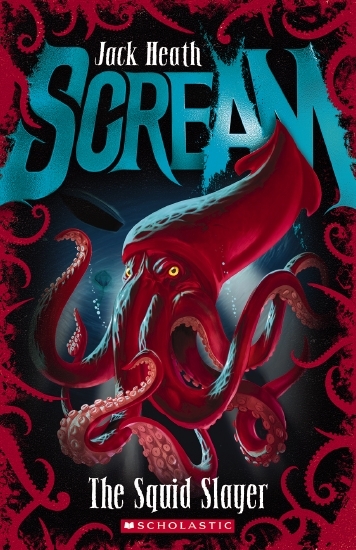 Scream is a new high-action horror series from Australian author Jack Heath. The Human Flytrap introduces Josh and his friends as they deal with human flytraps, while the second instalment, The Spider Army , features an invasion of deadly blue-backspiders. Each book stands alone, and has plenty of twists and turns to keep readers of all abilities hooked. Spooky covers and page embellishments add to the eerie feel, and The Human Flytrap has a sound chip so that the book screams when opened, which will amuse young readers.